Prof. RNDr. Vojtěch Jarník, DrSc. The tradition of Jarník's lectures was founded in 2002. Professor Vojtěch Jarník (22. 12. 1897 – 22. 9. 1970) was one of the most outstanding teaching and scientific personalities at the Charles University during 20th century. The reference to Jarnik’s name in connection with prestigious mathematical lectures justly reflects his distinguished legacy. The lecture opens the first session of the Scientific Council of the Faculty of Mathematics and Physics at the beginning of each academic year and is held at the so-called Jarník’s lecture hall (M1) in the building of the Faculty of Mathematics and Physics, Ke Karlovu 3, Praha 2. The P versus NP problem: Is finding proofs harder than verifying them? The tradition of Strouhal's lectures was founded in 1998. 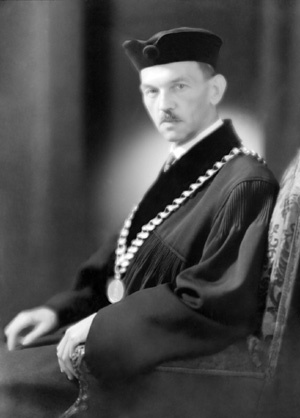 It was 90 years after Strouhal's lecture delivered on the occasion of inauguration of the first Czech Institute of Physics at the Charles-Ferdinand University. 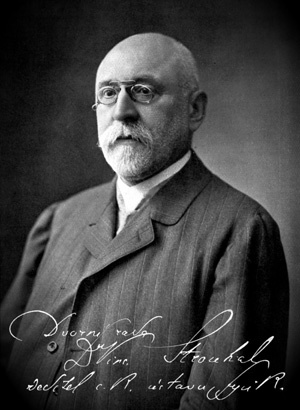 Professor Strouhal (10.4.1850 – 23.1.1922) had a decisive merit in the foundation of the Institute. Prof. Mark A. Novotny, Ph.D.
Adiabatic Quantum Computers in 2017: Huge Advance or All Hype? Molecules are fast, so how can liquids be slow?